As a undergraduate, Monica works in a pizza shop as a part-time job to earn some pocket money. She loves this job since customers are usually friendly. With the development of Internet technology, Monica's boss decides to build a website and customers can order what they want online, which is popular and convenient nowadays. As a result, the takeout service must be matched. Monica is assigned a new job, delivering pizza to those online customers. For Monica, a suitable means of transport is vital, after a careful selection, she chooses an electric unicycle, Fosjoas U3 best electric unicycle. Unlike those traditional scooter, Fosjoas U3 is designed with new appearance. The whole body is of streamlined design, which is concise and simple. Besides, the fender holder makes the two-wheeled electric scooter possible to take pizza steadily. 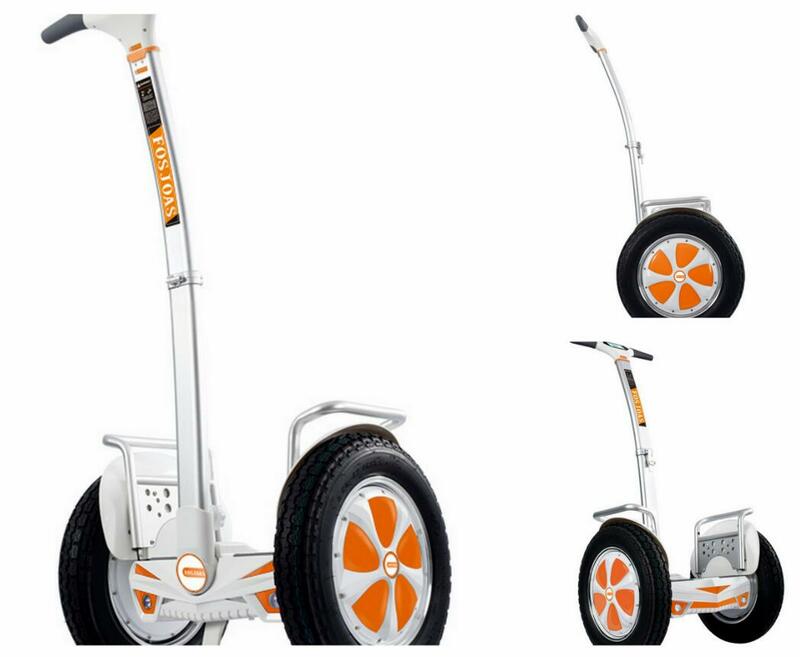 The light weight and strong frame can keep the light weight of the whole scooter while guarantee its safety at the same time. Besides, Fosjoas U3 is waterproof and dustproof which enables Monica to travel even in the rainy day. Cheng Shin tyre with wider contact area can help the scooter drain water, dissipate heat and enhance grip performance. Monica also like the 16-inch-wide tyre since the scooter is more stable and is easy to ride. The bumper strip is set at the back of the handlebar to effectively avoid scratch and abrasion when parking U3 against walls. So Monica can park the self-balancing electric scooter anywhere even at the corner. Besides, the small size takes up less space so Monica can also pick Fosjoas U3 in the elevator in case of being stolen when Monica on the way delivering food to customers' houses. With Fosjoas U3 electric self-balancing unicycle, Monica can deliver pizza quickly and conveniently. Her boss is also satisfied with her working performance. Monica loves her part-time job increasingly. Her classmates and friends also follow her to own an electric scooter to help their work.